The Devon Bat Survey results 2018 are in! The map below uses tetrads to show the location of the survey areas. Although people selected a 1km grid square to deploy their detector, the map below shows a tetrad square to make it easier to view. A tetrad is a 2km by 2km grid square used for biological recording. This incredible effort will help us to focus our work in key areas. It will assist both in terms of further research and targeted land management advice. The second map (below) shows ‘hotspots’ or the density of greater horseshoe bats recorded. This is only based on the sites surveyed. It does not mean that if an area of the map doesn’t show any greater horseshoes that they do not occur here. The strongest colours show where there were over 25 greater horseshoe passes in one location, a great result! As the survey progresses we hope to compile a set of cumulative maps for all years. In total the survey recorded over 750,000 sound files. Whilst we have some great technological aids for helping us to work out which are bats and which are birds, crickets and general noise, we still need to manually check lots of the files. As you can imagine, this takes a huge amount of time! As the survey progresses we hope to compile a set of cumulative maps for all years. Whilst we have some great technological aids for helping us to work out which are bats (and which are birds, crickets and general noise), we still need to manually check lots of the files. As you can imagine, it takes a huge amount of time to process the survey results. Later in the spring, we will produce a further map showing the number of species recorded in each tetrad, so watch this space! 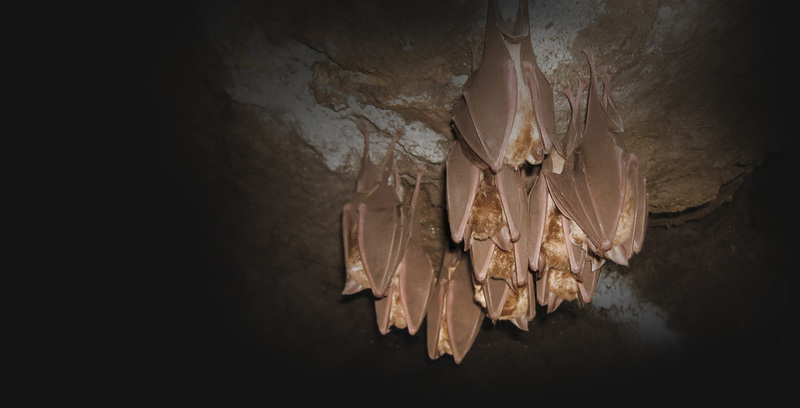 To take part in next year’s survey keep an eye on the Devon Bat Survey page – bookings will open during March 2019. If you’re interested in taking part next year, you could read the volunteer instructions for an overview of what’s involved. This survey was supported by Wildlife Acoustics.